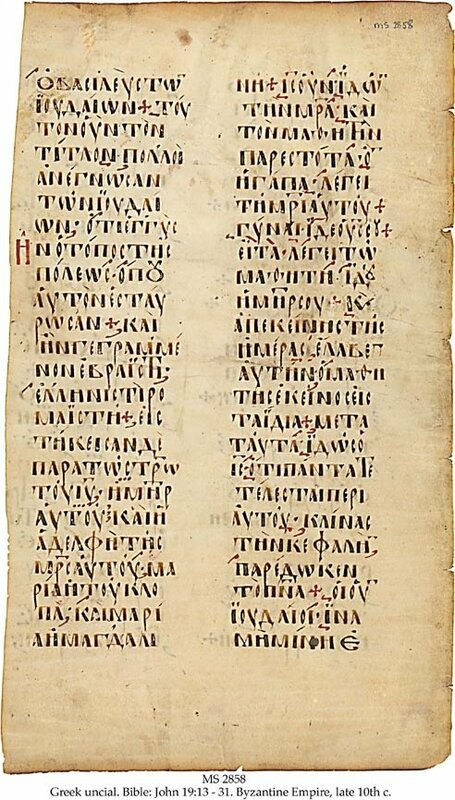 Description	 MS in Greek on vellum, Byzantine Empire, late 10th c., 1 f., 33x19 cm, 2 columns, (25x15 cm) 24 lines in a tall late Greek uncial, ecphonetic notation in red and dark brown, 2 initials in red. 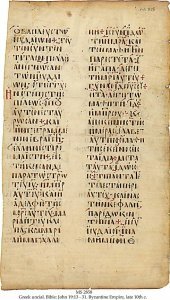 Commentary	 Ecphonetic notation was partly a forerunner of the neumes. Aland l.2413.